Second crop or Christmas new potatoes are gaining in popularity. The pleasure of sitting down to a Christmas dinner with fresh new potatoes as well as Brussels sprouts, carrots and parsnips all harvested in the morning is unbeatable. 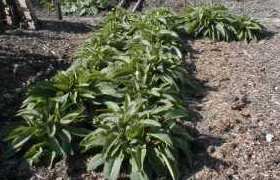 However, they’re not quite as easy to grow as some of the seed merchants would have you believe, especially outside of the sheltered, warm south eastern areas of Britain. It’s critical to get the timing right with these second crop potatoes. Too early and they’re ready before Christmas but too late and not only do you miss Christmas but they’ll probably be struck with a hard frost and not crop at all. 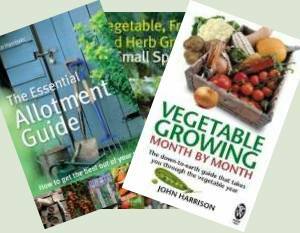 You need to order the seed potatoes in good time, mid-July to early-August and start chitting on delivery preparatory to planting out at the end of August or the first week of September. If they arrive late, don’t worry about chitting, just plant straight out. Second crop potatoes are not special breeds or variants on ordinary cultivars, they’re just first or second early seed potatoes that have been carefully stored in the optimum climate-controlled conditions by the seed merchant. In theory you can do the same at home but in practice it’s a risky business for the home grower. Chit the spring seed potatoes as usual but leave in the chitting tray keeping them in a cool place with low level indirect light. Keeping them cool is hardest part, a fridge is too cold and even the poor British summer can be too warm for success. A monthly spray with a seaweed solution seems to help the tuber avoid dehydration and generates stronger shoots. Most early or second early potatoes can be second cropped but the easiest and most popular varieties are Carlingford and Charlotte. Both are excellent waxy salad potatoes. Maris Peer (not Maris Piper) is sometimes offered as a second crop variety but it’s quite second class in terms of yield and tuber size compared to Charlotte. 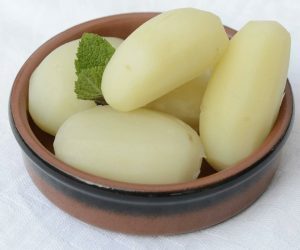 By using these salad potatoes, any leftovers from Christmas dinner can be turned into a potato salad for Boxing Day tea. 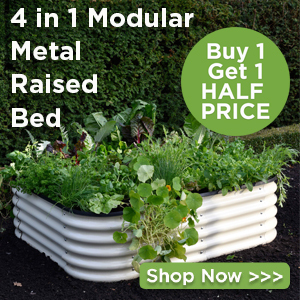 Some authorities recommend utilising a bed which has recently been vacated by the first early crop so as to maintain the overall rotation plan for the vegetable plot. I can see the sense in that but would not recommend it. Firstly the soil has been depleted of the precise nutrient mix that potatoes require and even adding a fertiliser mix balanced for potatoes isn’t going to add any depleted micro-nutrients. Secondly, following on with the same crops is always risky in that the pests and diseases have started to build up. Even if the first crop escaped them, the second is far more likely to catch it, whatever it may be. I’d suggest an area of the plot that’s going to be fairly distant from the potatoes in the rotation or alternatively grow in bags or large pots. If growing in soil then avoid areas that have been recently limed, remember potatoes prefer a pH around 5.5 to 6.00 which avoids scab developing. 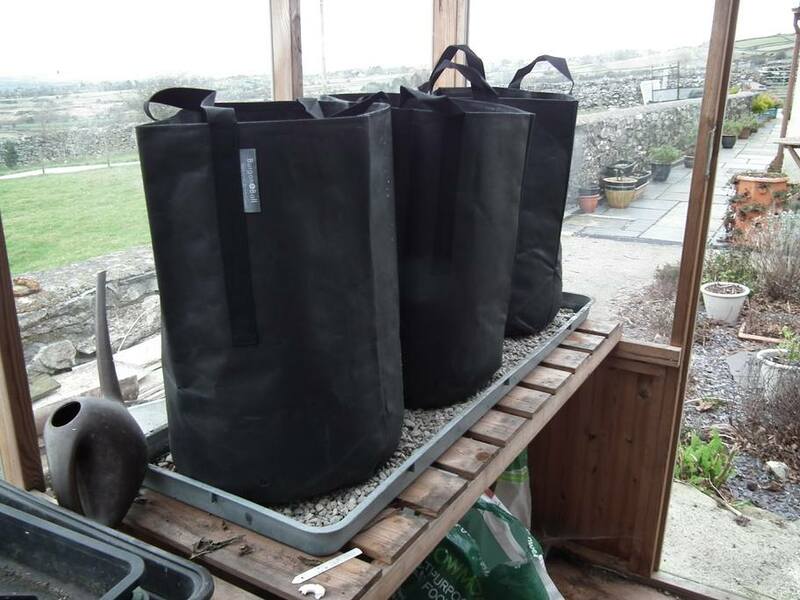 If growing in pots then you could follow the instructions for growing potatoes in bags or alternatively just use a good quality multi-purpose compost and add a balanced potato fertiliser. Don’t over do it with the fertiliser, use the correct quantity for the volume of compost. Work on the recommended application rate per square metre per bag. First, if the weather gets really cold and hard frosts come you can move the pot into a greenhouse or a more sheltered location. Frost and cold weather is the biggest problem and obviously outside of your control. Frost will kill the haulm (foliage) and that stops tuber growth. A layer of horticultural fleece or two or cloches may well save the day. If it gets really cold, as in the winter of 2010 when it was heavy snow and minus 15 degrees in November then there is nothing you can realistically do which is the advantage of pot grown second crops that can at least be carried into a greenhouse or even the house. Blight can be a problem. Usually the blight periods are over by September so the second crop isn’t at much risk but with the erratic weather we have in Britain you never know. Fleece or a cloche can provide a good level of protection by stopping the spores landing on your haulm.